1942: Station HYPO began reading Japanese system JN-25. 5 March 1942: Station HYPO started reading Japanese JN-25. Photo is of Captain Joseph Rochefort. 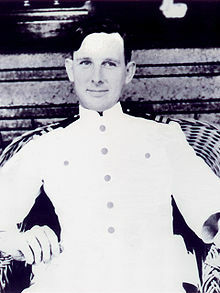 Commander Joseph Rochefort had been placed in command of Station Hypo, the Navy's codebreaking organization at Pearl Harbor. In 1942 Rochefort and his staff began to slowly make progress against JN-25, the Japanese Navy's operational code. If it could be broken, Rochefort would be able to provide Nimitz the information he needed to make wise and prudent decisions concerning the dispersal of his precious naval assets.